The TBI State Academy was created as a professional and prestigious training ground for Tennessee law enforcement officers who long for the opportunity to expand their education and training in the criminal justice field. 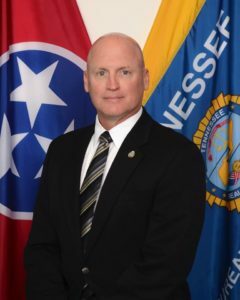 The TBI State Academy was developed with the Tennessee Bureau of Investigation’s origin, tradition, and mission in mind, and is geared toward advancing techniques, science, and strategy for the law enforcement community. It is a five-day-a-week commitment for six weeks and includes leadership courses, constitutional law, communications intelligence, financial investigations, and undercover investigations.